Comments: Prefers full sun and grows up to 20 feet tall. Usual heigth is about 12 feet. It can grow up to 3 feet per year when young and habitat is good. Stems 3 to 4 inches in diameter and have 5 to 7 ribs. 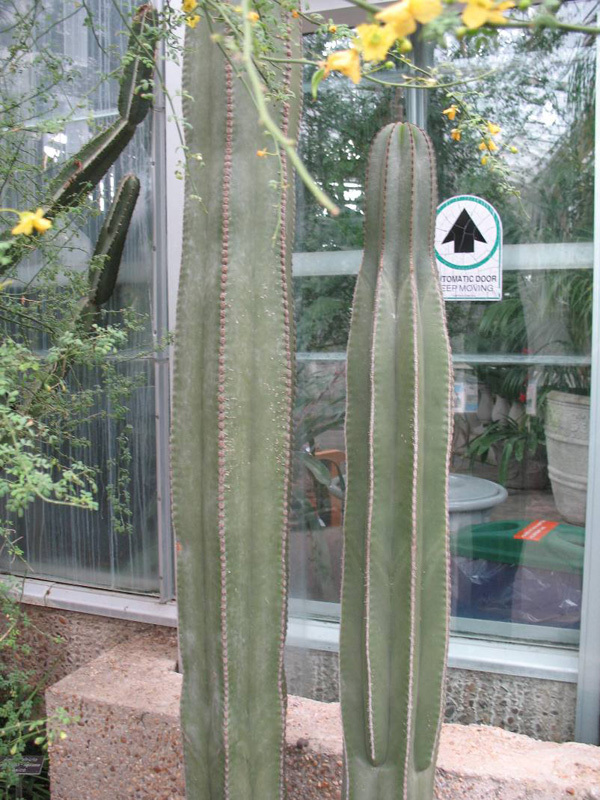 A cactus often used to make living fences along the streets of the small villages. When established, it is very drought tolerant. Flowers aare greenish to mostly pink and fruit is yellow to red and seed are black.